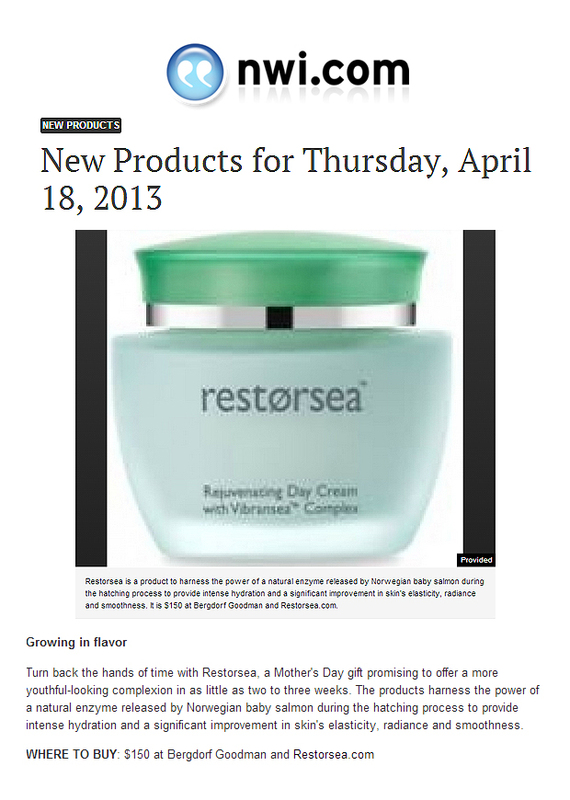 Yesterday daily newspaper, The Times, featured Restorsea's Rejuvenating Day Cream as the one of their New Product highlights. As contributor Philip Potempa writes, our day cream is "a Mother's Day gift promising to offer a more youthful-looking complexion in as little as two to three weeks." Read more here.